Through all the April Fools' shenanigans there was some actual major news on the auto side. As you may or not know, I'm a HUGE car guy. I may attention to the automotive space as much as I too technology, music, and baseball. This week was the New York International Auto Show, one of the major shows along with Detroit, Chicago, and L.A. This one did not disappoint with several major product launches from GM, Ford, Honda, Nissan, and more. I'll run down some of the Highlights. Right now, the Mid-size segment might be arguably the most important space in the North American auto market other than full-size trucks. You can throw a stone without hitting a Camry, Accord, Altima, Fusion, or Sonata. Chevy's mid-sizer, the Malibu wasn't quite on that that list. GM allowed their european arm, Opel lead development to the Epsilon II platform. It lead to a Malibu that had a wheelbase too short for the U.S. market and wasn't well received. The current Malibu required a mid-life refresh just 18 months intro its production cycle. For their new Malibu, GM put Chevrolet at the front of the line, just 3 model years after 8th generation Malibu. The 9th generation 2016 Malibu is 2 inches longer than the previous model and has almost 4 inches of additional wheelbase compared to the previous version. While being more spacious, the Malibu also shed 300 pounds of late. Its also much more advanced. If you're looking for the venerable, old 2.5L and 3.6L Ecotecs, they've been put to pasture. Taking a play out of Ford's book, the Malibu is completely Turbocharged. New to the range is a 1.5L Turbo-4 with 160HP and 184 lb-ft of torque. Joining it is an updated version of the 2.0L Turbo with 250 horsepower with 258 pound-feet of Torque. These numbers are comparable to the Fusion. The 1.5L is mated to a six-speed automatic, while the 2.0L has an 8-speed. The 1.5L will give you 27mpg in the city while the 2.0L will give you 22 in the city and 32 highway. However, those aren't the most remarkable powertrain option available, that goes to the new Hybrid. I can't think of a more diplomatic way to say this, compared to Ford, Toyota, and Nissan, GM's hybrids, and more specifically the Malibu's hybrid have sucked. They weren't in the same league as far as fuel economy. GM couldn't let this continue and didn't. The 2016 hybrid has a completely new hybrid system based on lessons learned from the Volt. 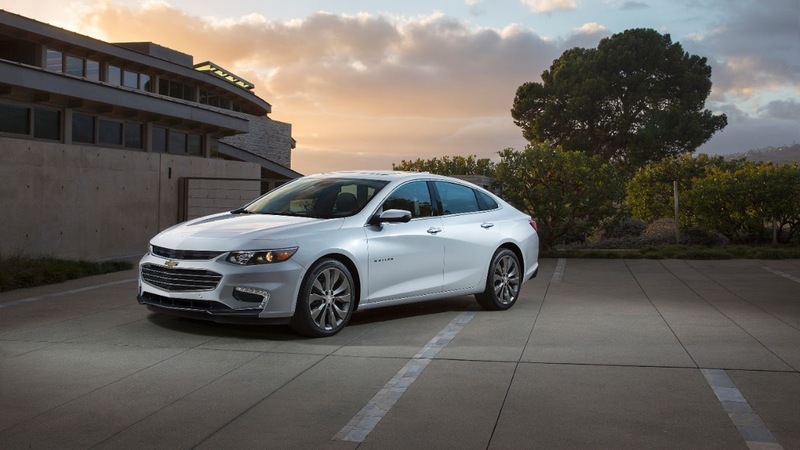 The Malibu hybrid has 182 horsepower while giving owners 48 MPG in the city, 45MPG on the hybrid, and a combined cycle of 47mph. Up to 55miles can be traveled on batteries alone. Not only is the hybrid system ultra efficient, so is the heating system. The car uses the heat from the exhaust to help heat the Malibu. This is a car that should be able compete with the fusion head to head. I didn't even begin to touch the features of this car, let alone the drop dead gorgeous styling. if Americans ignore this Malibu, it'll be a mistake. It wasn't very long ago Cadillac had a huge identity crisis. They weren't keeping with the competition and putting out rebadged FWD sedans based on other GM platforms. Caddy isn't repeating that mistake. in 3 just a couple model years, they will have refreshed the 3 main luxury segments with all-new RWD sedans that are class competitive. In 2013, the C-class/ 3 fighter ATS showed up. A year later, the new CTS showed up to take on the BMW 5 and E-class. 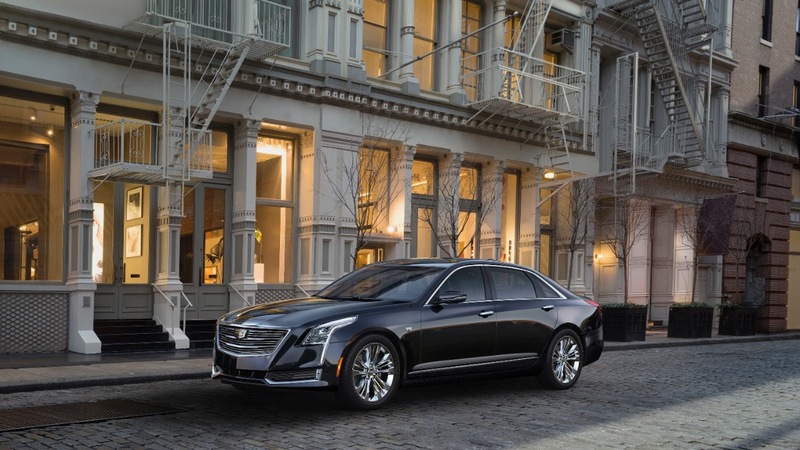 Now the lineup is complete with the 2015 Cadillac CT6 to give Caddy the RWD flagship its deserved for almost 20 years. The CT6 is designed with driving experience first. It rides on a brand new platform called Omega (its smaller cousins use Alpha) and is super-light for its class due to use of aluminum in the platform. GM claims the CT6 offers full-size dimensions while weighing closer to a mid-sizer. This should lead to a car with better handling if they are to be believed. The CT6 is rear wheel drive by design, but uses a seriously robust AWD system. To maximize driving conditions, it can handle close to 1,000 lb-ft of torque at the front wheels. Initial offerings will include a 265hp version of the 2.0L Turbo-4, the normally aspirated 3.6L spitting out 335, and an exclusive to Cadillac 3.0L twin turbo V6 model pushing out 400 ponies. GM his heavily hinted that a V-Model with a twin-turbo V8 is in the works. This could make this Caddy a real monster. The CT6 is plush and feature packed as it is powerful. It has a top notch interior, a 34 speaker Bose audio system, front and rear HVAC systems, full media system with HDMI and USB inputs, and rear seats with built in storage council and and articulating seats. GM understands that this is a car whose owner may spend as much time being driven as driving it his or herself. The luxury extends outside the CT6 as well. There's a exterior lighting system that comes on when it senses the key fob. If GM wanted to make a statement with the CT6, it succeeded. Following up disappointing FWD entries like the DeVille, DTS and XTS, the CT6 looks to finally be the large Caddy you want to drive. You haven't been able to say that in a long time. Over the next few days I'll continue with my thoughts about the 2016 NYIAS.